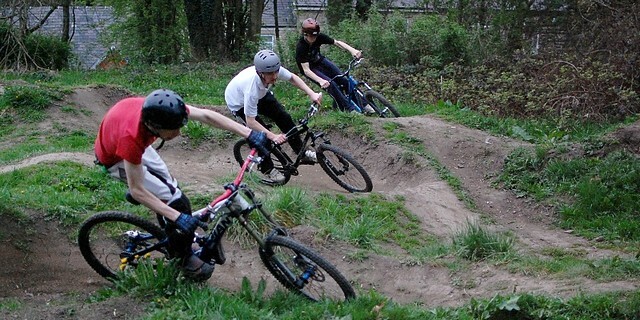 A video of all our pump track and dirt jump riding from 2011, all shot at Bamford Pump Track. As mentioned previously we have some unfinished video business to resolve. This video is the pump track riding from Bamford Pump Track and Joe’s Pump Track from 2010. So if you’re in need of motivation or inspiration for building or maintaining a pump track, ready for those warm light evenings heading our way, hopefully this will help; 6 minutes of berm to berm Pumptraction! If you didn’t see them at the time, here are the pictures from Joe’s Pump Track BBQ on the 17th of June.